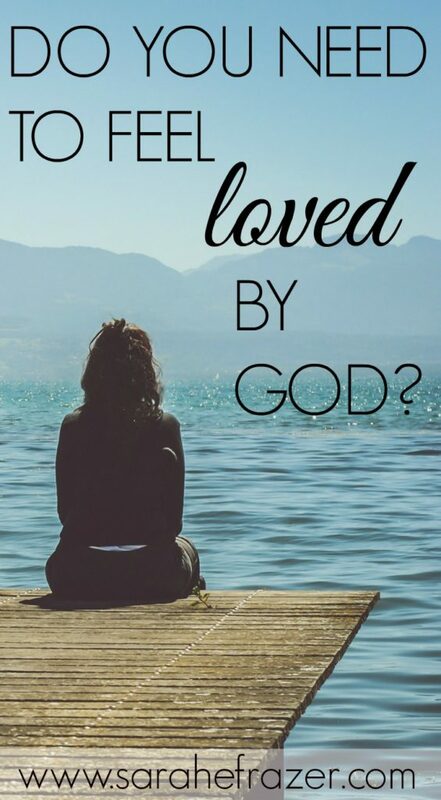 Did you know sometimes I don’t “feel” loved by God? Most of the time I’m feeling guilty for a bad choice….or maybe it has been a couple of days since I read my Bible. Either way, there are times I sit and think: Does God really love me? It is silly – especially since I KNOW God loves me. I sing about it. I tell my children this truth. I make life choices (like move to Honduras) because of this truth. And she said unto them, Call me not Naomi, call me Mara: for the Almighty hath dealt very bitterly with me. Ruth 1:20. To her, God had left her completely and utterly alone. Only He didn’t. We know that – but Naomi’s circumstances screamed a different kind of truth. Feelings will result from circumstances – but they are not the boss of us. Do your feelings try and dictate what you believe to be true? So many times I’ve had to say: believe with your head what your heart has forgotten. My heart is a fickle and likes to forget the truth. Sometimes I need a good “slap in the face” heart-talk with myself to get myself into gear again. One way I do this is find a good reading plan for the Bible. If I have a plan, and can open the word of God each day without wondering “What am I going to read?” Then I’m much more apt to spend time in the Word and get my heart closer to align with my head. I’m not saying feelings aren’t important, but they are not the BOSS of me! And when it comes to believing God’s love for me – I need constant reminders. 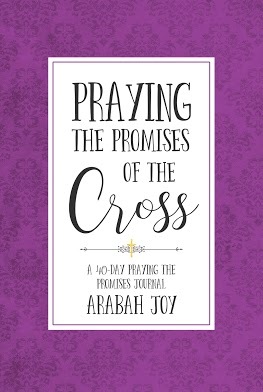 If you are too, I ask you to join me for this year’s Praying the Promises of the Cross. I love this and do it every year around Easter. The gospel truly is the POWER of God (Romans 1:16) in your life. Join today and immediately receive the Quick Start Guide + Challenge details. “My feelings are not the boss of me.” How often will I have to keep reminding myself of this?? Oh so often! (and glad it’s not just me)! 🙂 Happy Monday!